Iowa needs immigrants. So does our country – that’s the plain and simple truth. But it’s one that too many of our lawmakers simply ignore. Why? Because the Hawkeye State, like the rest of our country, needs workers – and immigrants are some of our hardest-working residents. They have been for a long time. Every industry in Iowa – from agriculture to manufacturing – depends heavily on foreign-born workers, and they are net contributors to our state’s finances. They pay taxes and support our social services, and contribute way more to our way of life than they take. Iowa’s safe communities, good schools, and calm lifestyle attract these foreign-born workers, who have revitalized communities large and small all across the state. Like other states with large rural areas, we have experienced dramatic declines in population, but our economy has remained stable, in large part thanks to these workers. That’s why it’s so upsetting when I see the Trump administration scapegoat immigrants in Iowa and across the country. First came the “Muslim ban,” then workplace raids, like the one we saw in Mount Pleasant this spring. Now Trump wants to further drive immigrants into the shadows by throwing them off a path to citizenship if they or their children have ever sought access to public health services or food aid. This so-called “public charge” screen is not just unfair, it is inhumane – which is why we must stop it now. The “public charge” ban is Trump’s latest attempt to demonize the very people we should be welcoming into our communities. Immigrant families are now too scared to seek the public health and food services they and their children have every right to request, to get through a time of need so they can continue to contribute to our society. At American Friends Service Committee in Iowa, we talk to fearful families like these all the time. They’ve been in the U.S. for years, working and paying taxes, hoping our government will finally sort out its broken immigration system and give them credit for all of the contributions they make to our society. But now, when their child gets sick, or they run out of food, they’re scared – so scared, in fact, that they’ll avoid seeing a doctor, or go hungry. This is not right. But I’m ashamed to admit, this is exactly what our government wants: to make it harder and harder for law-abiding immigrant families to live peacefully and be a part of our communities. Unemployment is at an all-time low in Iowa – 2.4 percent, a third below the national average. This especially affects the industries that are the bread and butter of our state economy – agriculture and light manufacturing. These are the sunup-to-sundown jobs that employers struggle to consistently fill, so they often rely on immigrants. Sure, Iowa also needs engineers, doctors and entrepreneurs, and immigrants to our state often bring these skills when they come – but we also need workers willing to take on the hard, often thankless and unglamorous work in agriculture, service and manufacturing that our state depends on. In Iowa as elsewhere, it’s often only immigrants who are up to the challenge. Without them, our state economy would collapse. The irony is that the same lawmakers who are most likely to criminalize and demonize immigrants solely for political gain – Grassley, King and Reynolds – are the same ones who depend most on contributions from the industries that rely the most on immigrant labor, especially Big Ag. This is especially true of those lawmakers who claim to be farmers themselves. This is an open secret in Iowa, but it’s one that’s rarely discussed. 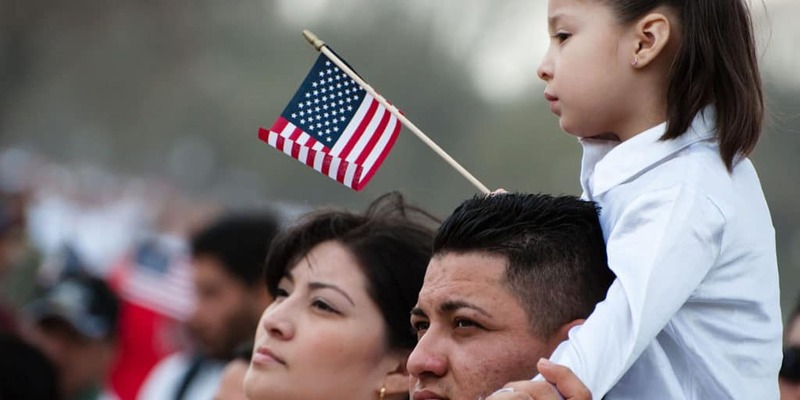 Immigrants who do qualify for citizenship or residency already go through a rigorous screening process when they apply for permanent status,, including one that ensures they will not become a “public charge” by relying on public assistance. That’s why the Trump administration’s new “screen” on immigrants is phony, and so unfair: its only purpose is to stigmatize and disqualify all immigrants who have ever sought any kind of medical or food aid, even temporarily. Who among us hasn’t needed help at some point in our lives, whether from our extended family, church community, neighbors or social services? As a child growing up in small-town Iowa, my family had to ask for help more than once. We were grateful to receive it, and it’s part of what made me feel this state was a great place to live. And that’s why I work hard to ensure that other families who need help today get what they need, too. This is the kind of generosity of spirit that Iowa is known for, and should always be known for. We shouldn’t let fearful, small-minded folks define us any other way. We have until Monday to tell the Federal government why their “public charge” screen for new Americans is not who we are, or who we want to be. Join me now in telling the Trump administration that that we reject this kind of inhumanity: not in our name, not now, not ever. Iowa will continue to welcome those who want to live here, no matter what you say.